Another fun party idea is to decorate plastic silver with glitter paint to make Glitterware! When I was thinking of cute party ideas for the princess party, one of the things I wanted was some fun silverware. I’ve seen a lot of the wooden forks and spoons online at parties so I thought about buying some of them. But they were somewhat expensive and I wasn’t sure that they would arrive in time for my party. I like that you can paint or stamp on them or even decorate the wooden handles with washi tape. I don’t think I would like the wooden taste though. It reminds me of those little cups of ice cream that come with a flat wood “spoon”. So, I planned on just getting pink plasticware but the store was out. 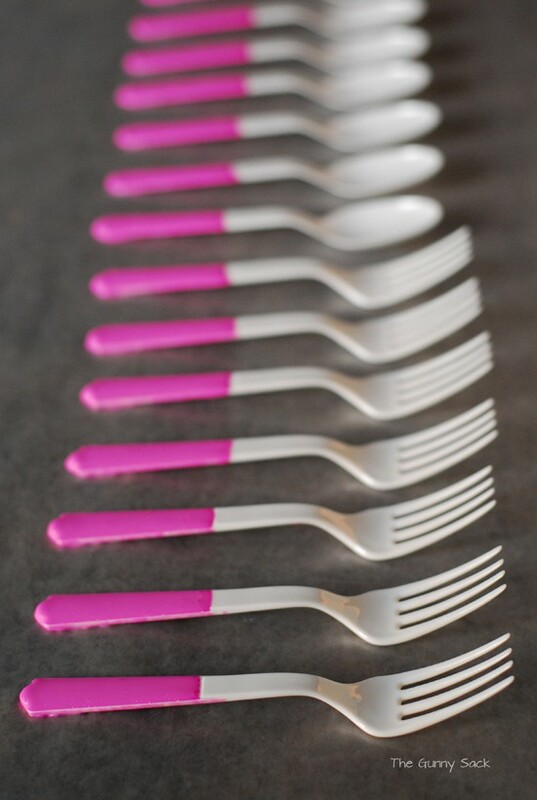 So, I decided to buy white forks and spoon to turn into glitterware! 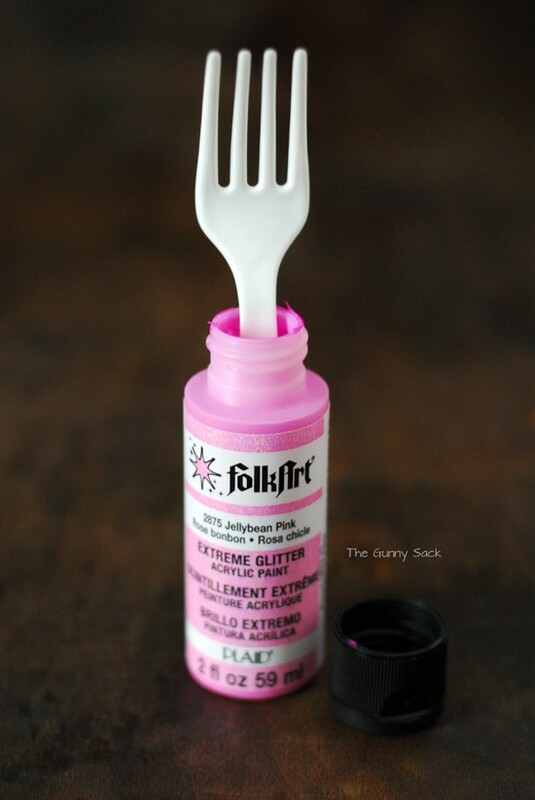 Dip the forks into glitter paint. 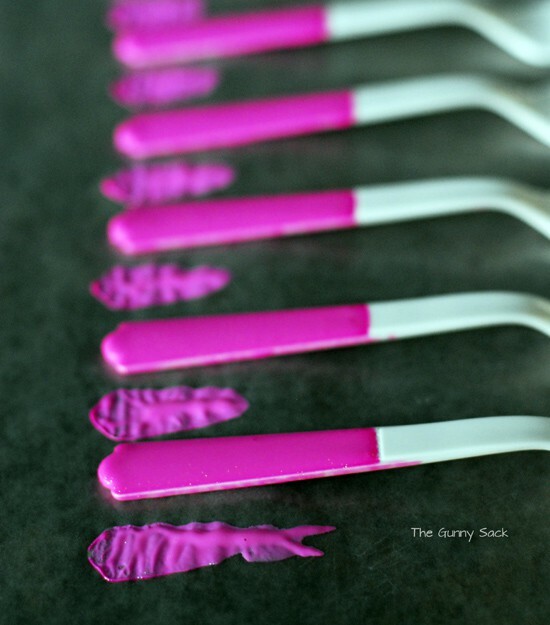 Let the excess paint drip off and then lay the silverware on waxed paper or parchment paper. After allowing them to dry for a few hours, I moved them so that they didn’t completely dry on the waxed paper. Once they dried, the back of the glitterware didn’t look as nice as the fronts. So, I flipped the silverware over, took a paint brush and added a little paint to the backs. I was impressed with how sparkly the glitterware turned out! It really looked glittery in the sunshine. LOVE the idea. However, does the paint come off with use? Just don’t want my guests to have paint flakes on their hands/clothing as they eat. The paint that I used was so thick that the glitter is embedded in it and won’t come off. 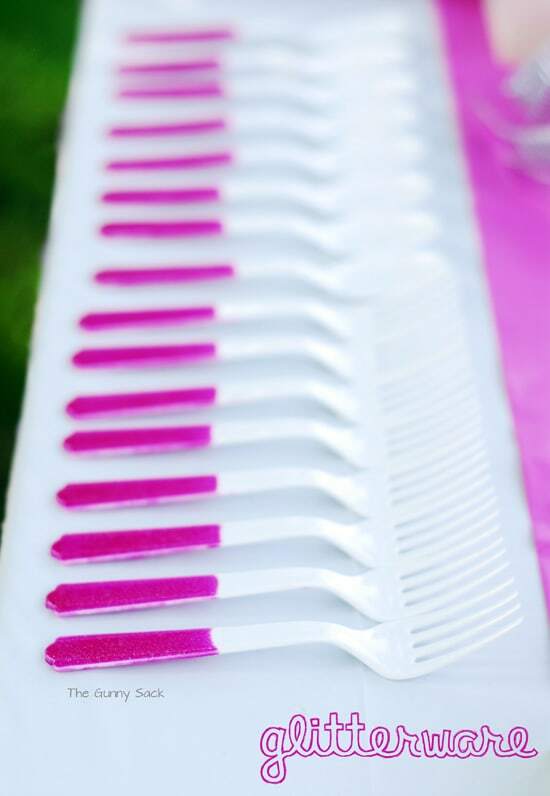 You could test it out with your paint with just one or two forks to be sure. Such a cute idea for that extra special touch! Love! glitterware, I love it! 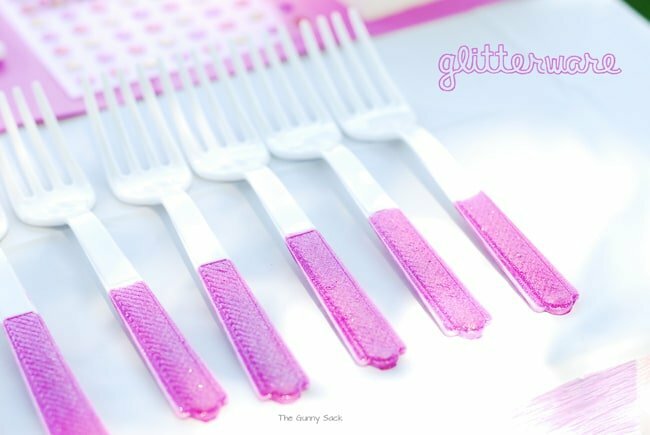 I’ve been thinking of ways to make plastic forks more fun, but I hadn’t considered the classic ol’glitter. Those are too cute! 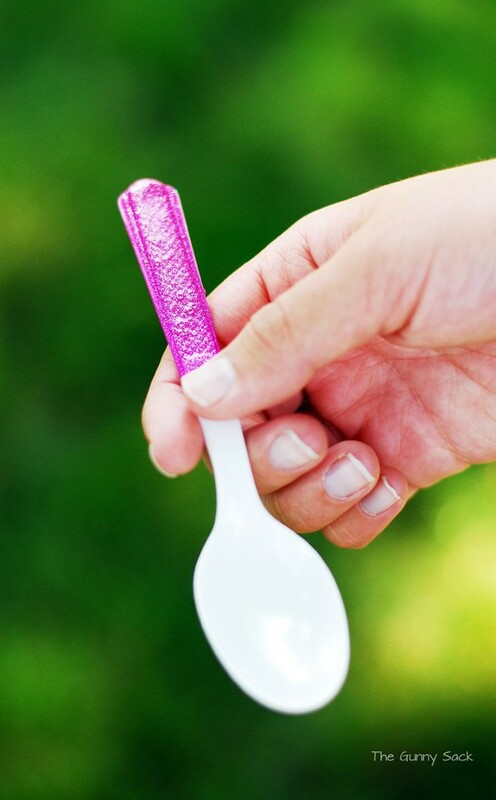 What a neat way to add a little glitz to cheap silverware.